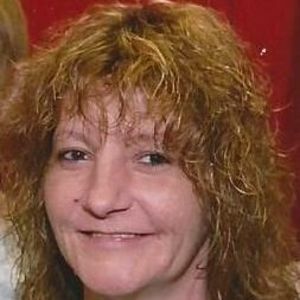 GREENVILLE - Brenda Lee Houle, 49, of Greenville, died Sunday, August 9, 2015, at 4:42PM at Owensboro Health Muhlenberg Community Hospital. Mrs. Houle was born December 15, 1965, in Cook County, IL. She was a dietician at Belle Meade Nursing Home. She was preceded in death by her father, Clarence Houle; and brother Clarence Robert Houle, Jr.
She is survived by her son, Damien Jerome Houle of Greenville; step-son Bradley Jones of Tennessee; sisters Melinda Adams of Madisonville and Joline Gunn of Greenville; brothers Joseph Houle of Drakesboro and Christopher Robert Vick of Cleaton; mother Wilma Houle of Drakesboro; several aunts and uncles; and three nephews, five nieces, two great-nephews, and two great-nieces. Funeral services will be Wednesday, August 12, 2015, at 1:00PM at Tucker Funeral Home in Central City, with Rev. Justin Latham officiating. Burial in Nelson Creek Cemetery. Visitation will be Tuesday from 5-8PM at the funeral home. Expressions of sympathy may take the form of contributions to Brenda Houle Memorial Fund, c/o Tucker Funeral Home, P.O. Box 548, Central City, KY 42330. Online condolences may be made at www.tuckerfuneralhomes.com. Wilma, So sorry to hear of your loss. All of us at Cal-Maine will be thinking of you.